There is some good news coming in for all you Symbian users out there as a newer version of Swype (v1.0.16481) is expected to arrive for Symbian on an S60 5th edition phone. A lot of changes has been made in this version as compared to the earlier versions and is currently under testing at Nokia’s Ovi Store. A prominent change will be seen in the appearance of the Copy and Paste feature as well as the Editing Layer in the Settings menu. 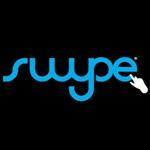 In addition to this, it will support new language packs to be used on any device running Swype.